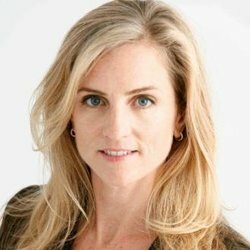 In anticipation of her upcoming conference presentation, Redefining Analytics for Marketing, at Predictive Analytics World San Francisco, May 14-18, 2017, we asked Jennifer Bertero, VP, Business Analytics at CA Technologies, a few questions about her work in predictive analytics. A: Our analytics work has been focused mostly on the magic triangle of sales, marketing and customer success. We’ve been working on helping to improve customer experience with the customer team. We’ve helped to prioritize sales efforts on opportunities and accounts that are most likely to buy. We’re also helping marketing to identify what prospects are ready for the sales process and how they can more effectively nurture leads. A: Analytics is pervasive in decision making. We’re influencing strategic, as well as operational decisions. For example, analytics to predict which accounts have high propensity to buy our products have been used by sales to devise a customer segmentation strategy. Analytics that predict whether a sales opportunity will be won or lost is used by sales to prioritize which opportunities they should target. Customer experience analytics is helping our product teams design their products with customer experience in mind. In addition, it’s helping identify those customers early who are not likely to renew their contracts. Q: Can you describe a quantitative result, such as the predictive lift of your model or the ROI of an analytics initiative? A: This is one of the most difficult but important parts of the analytics process. We’ve learned to identify up front what metrics we’re going to track and what success looks like – where we can. There are also discovery projects that yield insights that then lead to business process change. For example, the insights we provided to the customer engagement team allowed us to track intent, activity, and questions answered in our online communities. We correlated these to the expensive calls coming into the support line. We helped influence the business to increase support engineer engagement in communities to solve problems before they ever reach for the phone. We increased questions answered by 28%, helped decrease support call costs and increase by double digits our overall company NPS score. A: We discovered that if a customer’s question about our products is not answered in the digital communities within 2 days, our support desk received a call with the same question. This led to the business process change and improvements I just described in customer support. In marketing, we discovered that most of our leads were coming in from small to medium-sized businesses but our marketing efforts and sales process was built more for large customers. We used those insights to tailor our campaigns more effectively and funnel leads to the right sales teams by the right products. A: We’ve built our analytics shop from ground up and now can hardly keep up with the demand from the business. After consistently delivering value for two years, we’re now being asked to help shape the strategy of the company, using insights and analytics to help the C level make better and data driven business decisions. Coming from the business side, I understand the business of trying to compete and win in an extremely competitive, fast-paced industry. I’ll share the key business metrics to focus on when working on analytics projects and how they can directly help the business strategy and performance. Analytics can be used as a secret weapon. Today, it’s not a nice-to-have; it’s a must-have. It’s nice to be needed but it’s more important to be relevant, timely and directly tied to success. Don’t miss Jennifer’s conference presentation, Redefining Analytics for Marketing on Wednesday, May 17, 2017 from 11:15 am to 12:00 pm at Predictive Analytics World San Francisco. Click here to register to attend. Use Code PATIMES for 15% off current prices (excludes workshops).